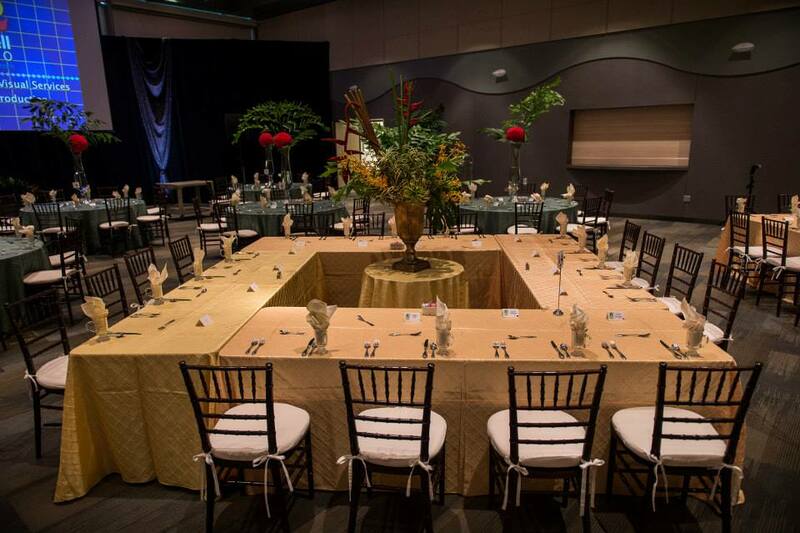 Our first step was creating a floor plan that appeared to fill up a space that could easily accommodate 660 guests for a seated dinner. 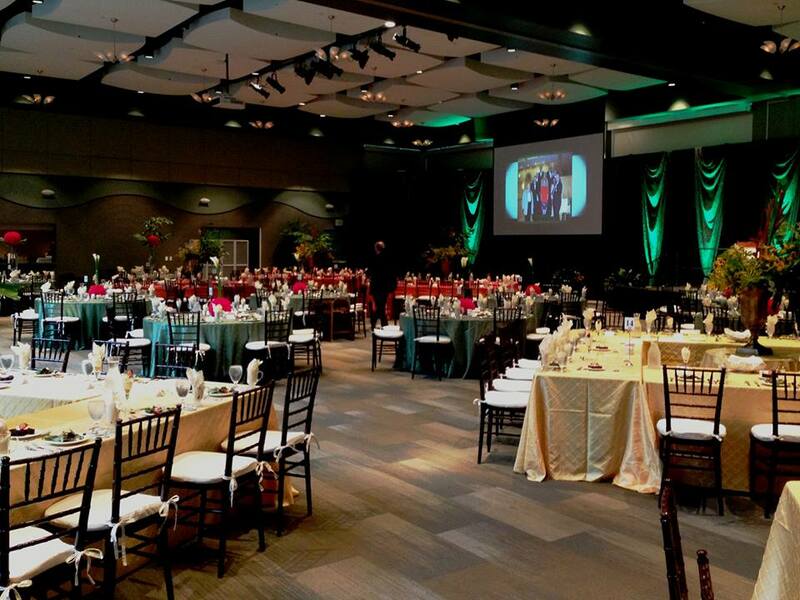 With the use pipe and drape and some rather large square tables strategically placed throughout the ballroom we were able to fulfill their needs. 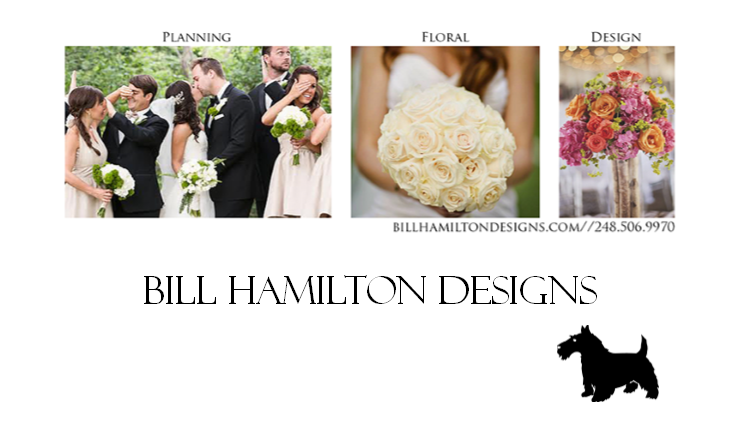 We created some rather large floral pieces which we placed into the center of the square tables. 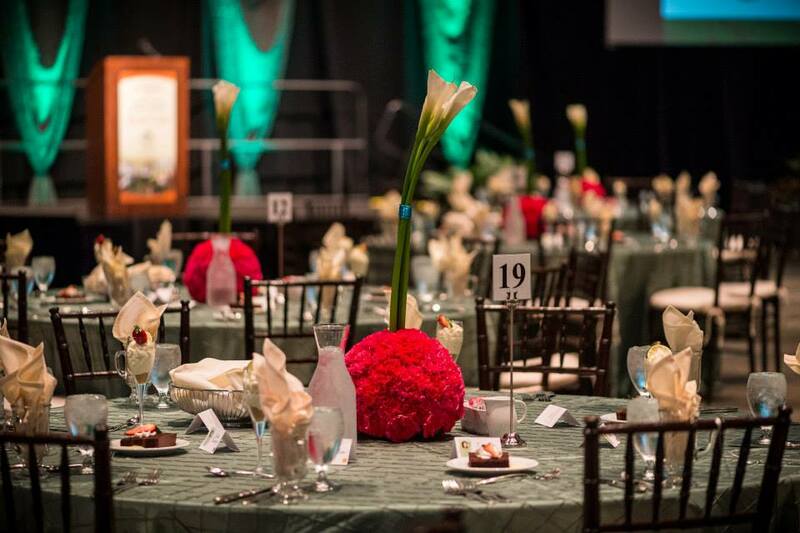 These centerpieces stood about 4′ tall before being placed into their home for the night. 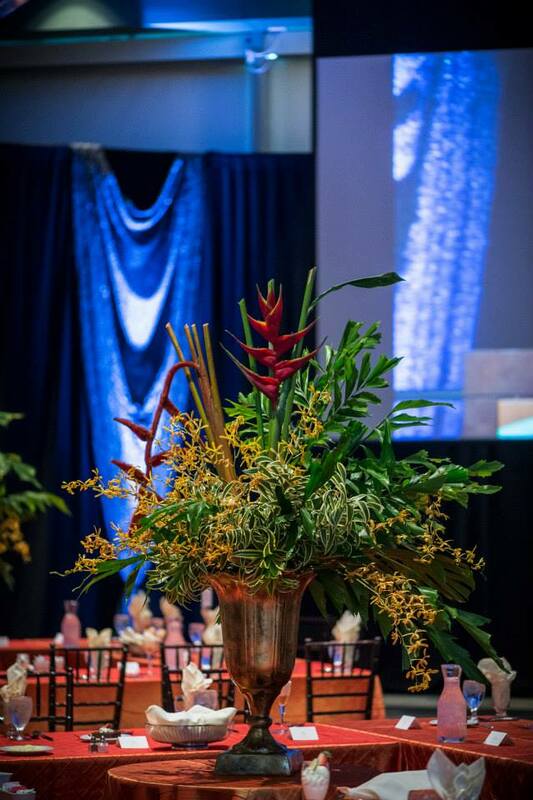 In those centerpieces we used Fishtail Palm, Monstera Leaves, Song of India, Hallaconia and James Story Orchids. For the other round guest tables we created hot pink carnation balls elevating ½ of them on to 3’ tall glass trumpet vases. While the other ½ of the carnation balls we sat directly atop the table, inserted 3 white calla lilies into the center to complete that look. Our goal was to design centerpieces that would not only compliment the host property but also stay within our clients budget. The evening was a huge success! Our client writes: Everything was so beautiful. Heard many comments that the flowers were unique and beautiful. Thank you so much. I am very glad so many of the flowers went home with our guests. Thank you to Terpstra Photography. Your photographic eye is amazing.